While corporate America is largely sold on the concept of hiring professional background verifiers, there are still businesses, SMEs in particular, that shy away from engaging specialists to screen future employees. Regardless of the size or stage of your business, here are the three top benefits of using a professional employee background screening service to improve the recruiting process. While many companies continue to rely on resumes to gather critical background information about potential employees, progressive businesses are going all the way and engaging applicant screening services for two reasons: one, it gives them the opportunity to go deeper into the candidate’s employment history and retrieve useful information to draw up a complete profile and, two, it allows them greater control over who they’re hiring. For several reasons, potential employees tend to withhold information about previous employments. This could be either because they do not want to hamper their chances at getting the job or because they believe certain past details are irrelevant to the current job. Thus, background screening helps you gain complete information about a prospective employee before you add them to your workforce. Most businesses are fully aware of the never-ending costs of carrying out employment verification of each and every employee on their own. It is also well known that the process is time-consuming and not at all cost-effective when done in-house, particularly for businesses that do bulk hiring. Why, then, do businesses not consider recruiting professional employee verification services for the job? One possible reason could be the misconception about how much it costs to engage a background screening firm for the long run. The best bet here would be to do a comparison cost analysis. You would be surprised by how much time and money you can save by outsourcing the tedious job of running background checks to those who do it day in and day out. In a global economy where businesses are spread across continents and cultures, it has become increasingly difficult to employ and retain qualified individuals. Background screening expertise that can be used across countries in compliance with the local employment and privacy laws proves to be a boon in such scenarios. A technology-backed background check system can help you acquire the best global talent aligned with your business goals. Moreover, securing a candidate who’s right for the job both as a professional as well as an individual is more important today than it has ever been, as businesses are realizing that behaviors and attitudes are as important in driving performance and productivity as are job-related skills. A robust background screening system inevitably leads to stringent filtration at the very onset of the hiring process, which helps reduce attrition in the long run. Lastly, in the wake of critical issues like racial discrimination, workplace violence and sexual harassment at the workplace, employee verification is no more an option for successful businesses that want to avoid multi-million-dollar lawsuits bringing them down to their knees. In a fast-growing globalized business environment, getting employment verification services empowers you to make the most of your HR processes, resulting in an efficient and productive workplace environment. 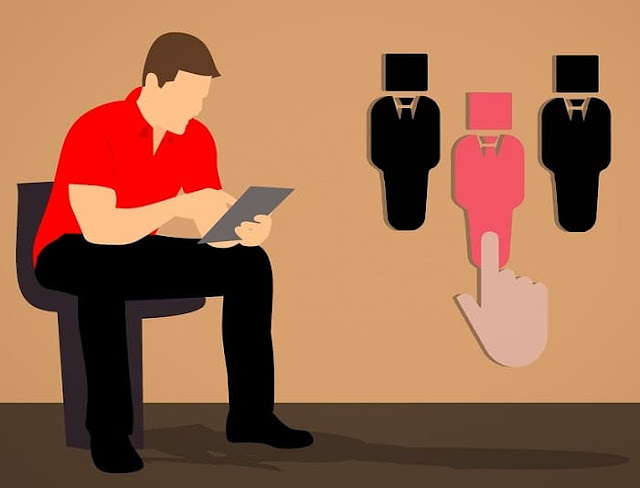 Inefficient employee verification results in ill-informed recruitment decisions, and that’s when businesses think of professional applicant screening services as a long- term, cost-effective solution. If you’re still not convinced about exploring an employee screening service for your business, we’ve listed below some key questions that, if answered honestly, will enable you to have a fresh perspective and a novel approach to hiring and screening applicants. ● Does your business have the tools and expertise to conduct comprehensive employee verification for each individual you add to your growing team? ● Is the process secure, efficient and cost-effective? ● Are you sure that your business is complying with the local privacy laws when seeking an applicant’s personal information? ● If you’re a small-to- medium business, is it worthwhile to engage valuable resources in a screening process that may not be adequate? ● Is your in-house screening team being forced to skip vital steps in the verification process owing to budget constraints? What are those steps? ● Are you in compliance with the constantly changing policies and regulations? ● What are the consequences of such noncompliance, if any? ● Is your employee history screening process equipped to adapt to the scaling and growth that you envision for your business? Not sure if your in-house team is equipped to simultaneously cater to all of the above requirements and yet hire exceptional talent? Perhaps it’s time to engage a trusted employee screening service to take your recruiting to the next level! I hope you enjoyed this article about reasons to utilize professional employment verification services for your employees. Interested in more articles about hiring and human resources?